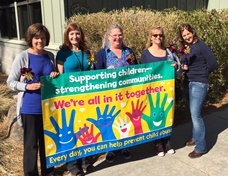 "April is a time to celebrate the important role that communities play in protecting children," said Jennifer Kline of Live Violence Free speaking as the Chairperson for the Alpine County Child Abuse Prevention Council. "Everyone's participation is critical. Focusing on ways to build and promote the protective factors, in every interaction with children and families, is the best thing our community can do to prevent child maltreatment and promote optimal child development." Friday, April 4th was #wearblue4kids day. Some members of the CAPC got together to show their blue off! In honor of National Child Abuse Prevention month, Alpine Kids and the Alpine County Child Abuse Prevention Council are hosting an award dinner to honor those individuals living or working in Alpine County who are "Making Rainbows in the Lives of Children". The honorees are nominated by local children and their families who complete the following: "This individual has shown tremendous support for children in this community and has also made rainbows in the lives of children in the following ways:" Each of these nominations and stories will be read aloud at the dinner and many of our local children will also be reading selected poetry. Whereas, all communities have the responsibility to offer parents the education, support and skills they need to provide healthy, safe and nurturing homes for their children. 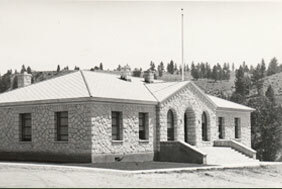 Now, Therefore, Be It Resolved, that the Board of Supervisors of the County of Alpine joins in declaring April to be “Child Abuse Prevention Month,” and In so declaring, Alpine County officials, employees and citizens are encouraged to join the important efforts of the Child Abuse Prevention Council, the Washoe Tribe of California & Nevada, First 5 Alpine, Live Violence Free, Alpine County Office of Education, and Tahoe Youth & Family Services, and all partners serving children and families to work together to prevent child abuse and neglect and build healthy, safe and strong families and communities. Children succeed when their parents succeed — and families do better when they live in supportive communities. The mission of the Alpine County Child Abuse Prevention Council is to encourage and support interactive community based programs to ensure that children and families are safe and healthy. The Alpine County Child Abuse Prevention Council shall consist of a minimum of seven (7) members, up to a maximum of thirteen (13) members. As the prevention of child abuse requires the involvement of the entire community, the Child Abuse Prevention Council shall encourage representation from a wide variety of agencies, organizations, and the residential community. •	Civic Organizations based within Alpine County. One (1) member shall be recommended by the Hung-A-Lel-Ti Community Council. In addition, the Council shall also include a formally appointed, but non-voting, liaison of Alpine County Board of Supervisors.